It’s a friendly competition for a good cause—to drum up blood donations for the American Red Cross on the anniversary of the terrorist attacks on September 11, 2001. 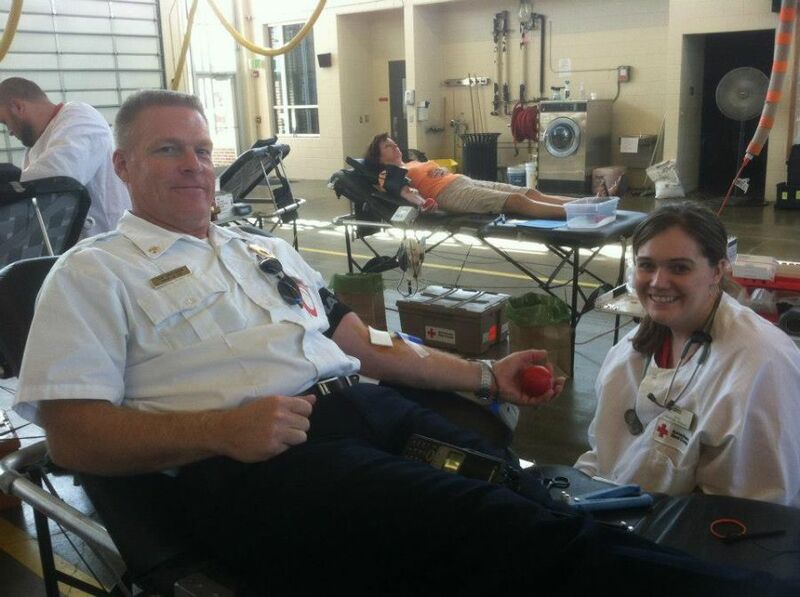 The blood drive isn’t just for firefighters and police officers. You can get in on the fun! Stop by the Madison Police Training Center (5702 Femrite Dr.) on Friday, Sept. 11 from 7:00 a.m.-1:00 p.m. When you do, tell them the Fire Department sent you! To sign up for your appointment, go to www.redcrossblood.org and use the sponsor code “Public Safety”. If you cannot give on September 11, you can still be counted in the Battle of the Badges by donating through September 19 at one of the other locations. See below for details. As added incentive, everyone who donates will get a free Sports Clip Haircut coupon! The Madison Fire Department won last year’s Battle of the Badges Blood Drive. Help us toward another victory! American Red Cross East Donor Center – 2109 Zeier Rd. Monday through Thursday, 12:00-6:00 p.m.
American Red Cross West Donor Center – 4860 Sheboygan Ave.
Monday, Tuesday, and Thursday, 11:00 a.m.-6:00 p.m.